On Sunday we had a small gathering of friends to mark late August. Among the bottles we put on the table were a couple of the 2005 Chardonnay, vin de pays des Coteaux Charitois, from Alphonse Mellot. We left people to help themselves. I was surprised that several friends remarked that they were taken aback that this was a Chardonnay. Used to big, oaky, blowsy Chardonnays from Australia, Chile etc. they didn't recognise this much fresher style as coming from the same grape variety, which they normally don't like. 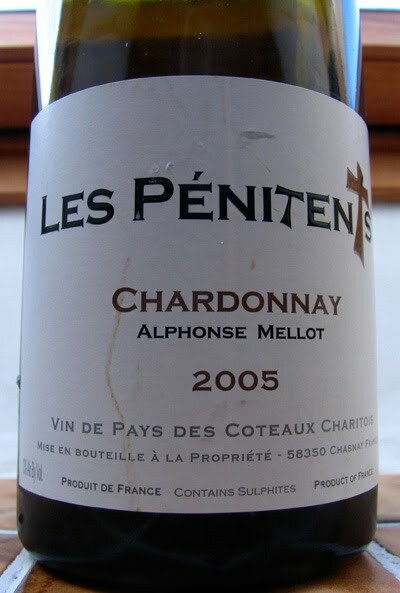 2005 was the Mellots first vintage from the Coteaux Charitois having bought the vineyards that year from the consortium that developed the vineyards at Chasnay near La Charité. 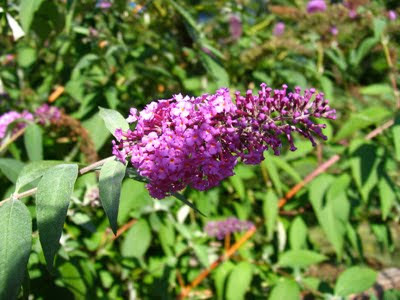 Initially quite successful the consortium ran into problems with frequent changes of winemaker and slow sales. Of course it isn't really a surprise that this Chardonnay is very different from rich versions from hotter climes as Chasnay is only 100km from Chablis. There is a great, little video clip on Hervé Lalau's Chroniques Vineuses site today featuring a 'wine expert' in a restaurant. Although the dialogue is in German or possibly Walloon (? ), it is still very funny even if you don't understand a word. 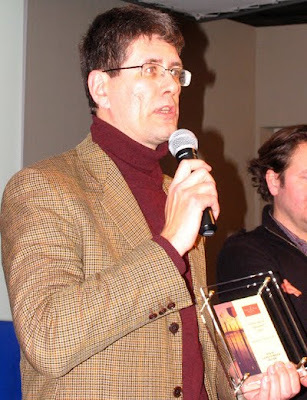 It was brought to Hervé's attention by the indefatigable Luc Charlier. If the video doesn't play first time, click again. Having discussed the AC reforms and the possible solutions we moved onto to tasting some unfinished wines in the cellar. 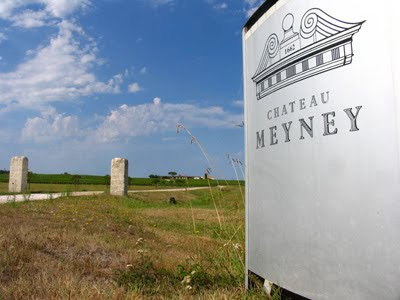 When Yves and Marguerite began to make wine again they used the old cave, which like many of the cellars in this region had originally been created when people quarried the tuffeau (limestone) to build houses. Later it has been used for wine making and you can still see notches on the cellar wall where a large wooden press was attached. A few years ago they built a more modern facility at the entrance to the cave where they have the press and some stainless steel and fiberglass vats. We started the tasting with the 2009 Rosé. This is a clear indicator that wine making here comes before commerce. 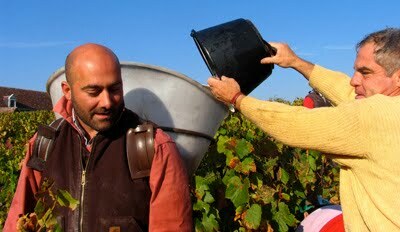 It was obvious that Sébastien would have liked to be able to have some 2009 Rosé to sell over the summer. However, the 2009 is not yet ready. It has been fermented in 400 litre barrels. "2009 took a long time to complete its alcoholic and malolactic fermentation. 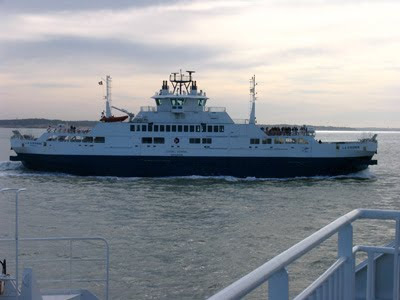 They have only just finished," said Michel. Sébastien looked somewhat crestfallen when Michel announced that the 2009 Rosé would not be ready to bottle until the end of the year. "It has to take its time," said Yves. "This is the first time that we have vinified our rosé in barrel. Certainly although yet to be bottled this 2009 Thouars Rosé is far from your typical young rosé. 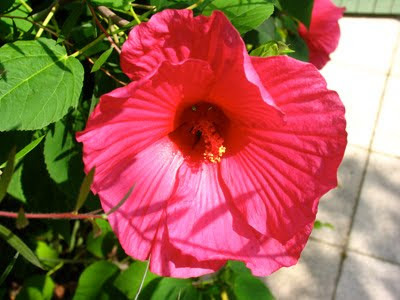 It has more weight and structure than is customary with a floral and red fruits character. I fancy that if you tasted this blindfolded you might well have difficulty identifying it as a rosé. Will be interesting to taste when it is finally in bottle. We then tasted some 2009s reds including the Reserve from barrel which looks promising with dense fruit, good balance but slightly drying tannins but it still has some months in barrel left. We also tasted a potential special cuvée from 2009 – a blend of old vines and press wines. Next we headed out into the vineyard to the Clos just above the château and to see the new plantings of Chenin Blanc. The vineyards are grassed over in the centre of the row with weeds between the vines controlled by weedkiller. 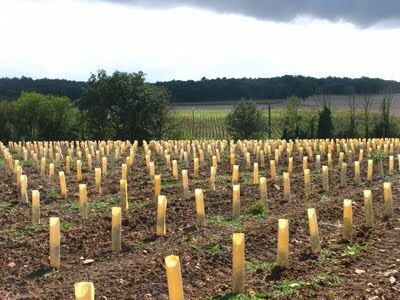 The new plantings of Chenin Blanc are selection massale planted on calcaire ("pretty hard" – Michel) along with some silieuse. 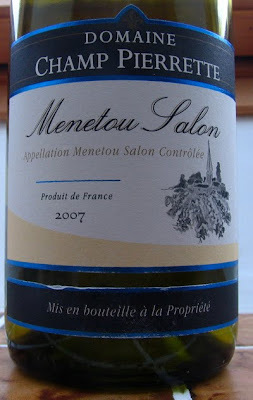 We drank this 2007 Menetou-Salon selected by Foucher Lebrun (part of the Picard group) during a dinner with friends on Friday night. It showed well with the typical cleanness and purity of the 2007 but with enough weight of steely fruit to stop it from being lean. 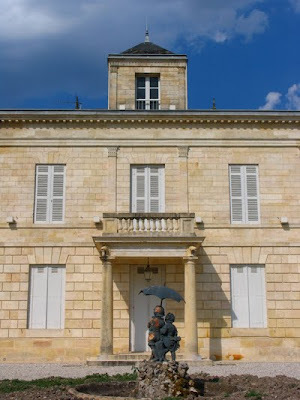 I was shocked to discover this morning that Thierry Manoncourt of Château Figeac died on Friday at home aged 92 – just short of his 93rd birthday. 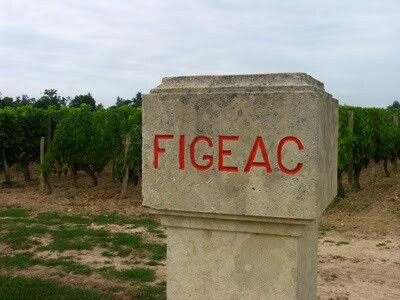 Shocked because I visited Figeac on 19th August to interview Eric d'Aramon concentrating on the handing on of knowledge and tradition from Thierry Manoncourt to him. My condolences to the family. 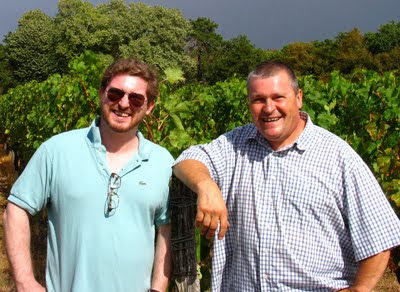 See interview here with Thierry Manoncourt by Serena Sutcliffe MW in Decanter. 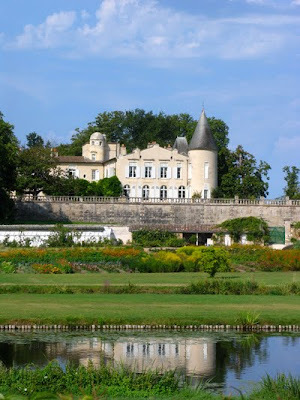 Also article by Jancis Robinson MW on Manoncourt's 60 vintages. 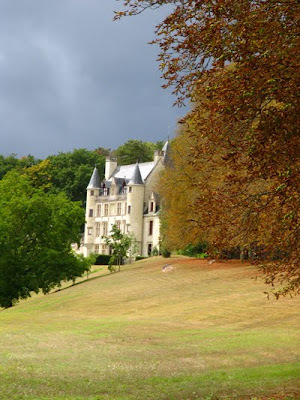 Post on my visit to Figeac earlier this month. 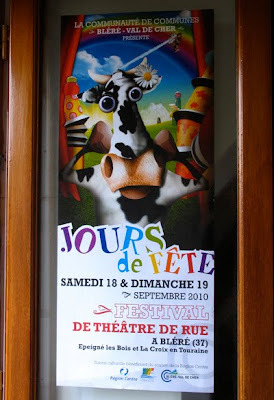 On the afternoon of Saturday 18th September Epeigné-les-Bois will be hosting part of the 7th edition of the Festival de théâtre de rue 'Jours de Fête'. The rest of the acts will be performing at the Place de l'Eglise, Bléré during the afternoon and early evening of the 18th and 19th. The entrance to the château certainly grabs your attention, especially if the light is striking its white limestone walls as it was yesterday when we turned off the road between Chinon and Saumur and entered the driveway. Petit Thouars was made all the more dramatic by the threatening black clouds that would briefly unleash two downpours on us during the visit. We were greeted by Yves and Marguerite du Petit Thouars. 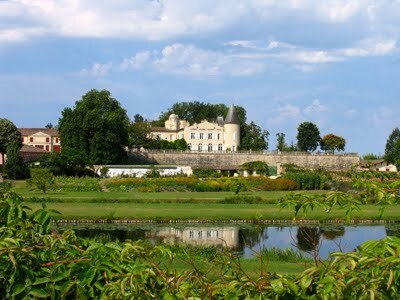 Yves and Marguerite took over the château in 1971 and in 1975 started to reestablish the vineyard, which now extends to some 15 hectares. 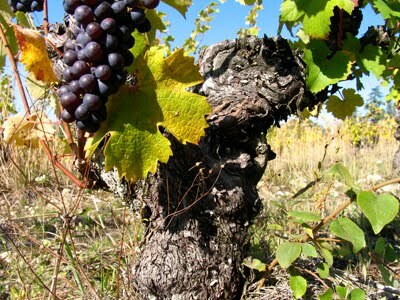 There had long been vines on the property but production ceased and the vines were abandoned after the Second World War. Hitherto they have replanted Cabernet Franc exclusively but the latest vines to be planted is Chenin Blanc with 70 ares going in this year. The family has owned the château since 1636 when Aubert du Petit Thouars bought the château on the advice of Cardinal Richelieu. 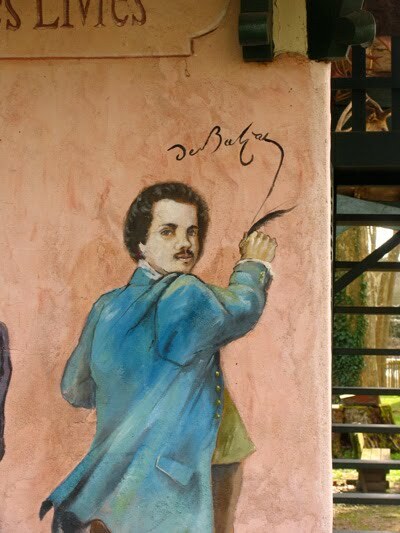 Doubtless the patronage of Richelieu helped to ensure that the price was reasonable – certainly Yves had no hesitation in agreeing yesterday that it was "une bonne affaire". 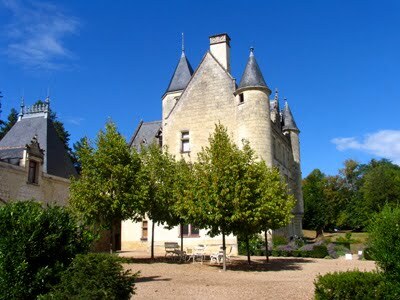 The Petit Thouars continue to be mainly based in Paris but make frequent visits to the château. "I come down every week," Yves told me, "although sometimes I just come down for the day". 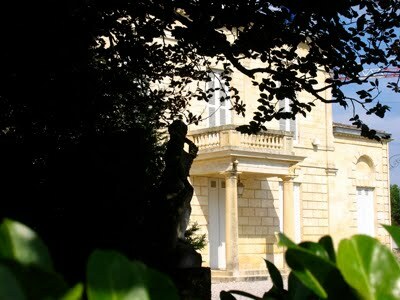 Marguerite du Petit Thouars was a well known wine and food journalist writing for Le Figaro and Cuisine et Vins de France as well as being the editor-in-chief for L'Amateur de Bordeaux. Their son, Sébastien, and his Canadian girlfriend, D'Arcy Flueck who is a travel writer based in Paris, soon joined us.We headed up to the vines nearby but unfortunately the rain was quicker and we were caught in a downpour and had to run for the cellar. 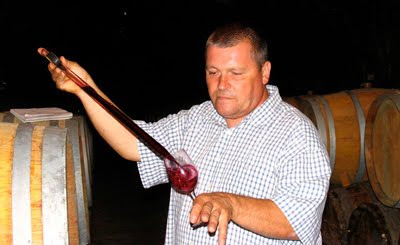 Here we met the ebullient and energetic Michel Pinard, who has made the château's wine since 2007. 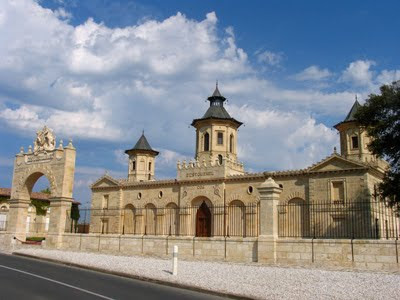 Michel made the wine at Charles Joguet (Chinon) for 21 years, having started his career at Château de Targe (Saumur-Champigny) with Edouard Pisani-Ferry. 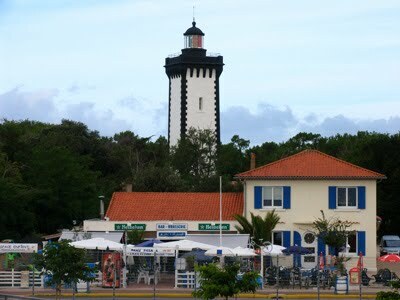 He met Joguet in 1983 and left the estate in 2005. 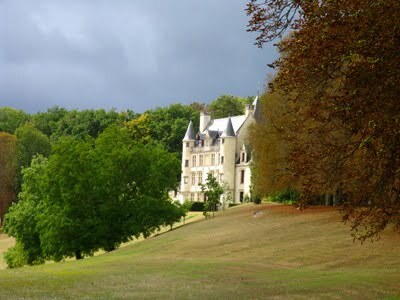 Michel also makes the wines of Edouard de la Palme's nearby Le Château de la Trochoire in Couziers. 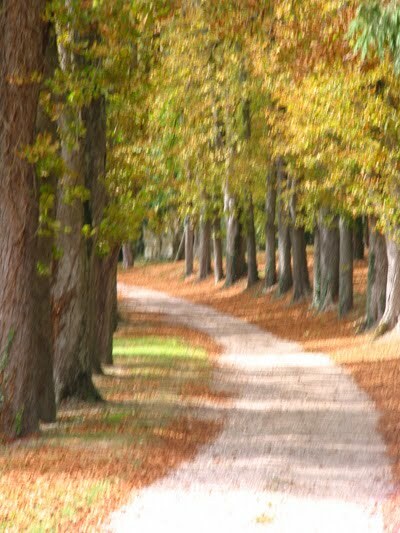 Immediately we were launched into the controversy over the daft proposals to reform AC Touraine. Proposals that if approved will hit Château du Petit Thouars hard as their historic grape varieties – Cabernet Franc and Chenin Blanc – will no longer be entitled to the Touraine appellation. 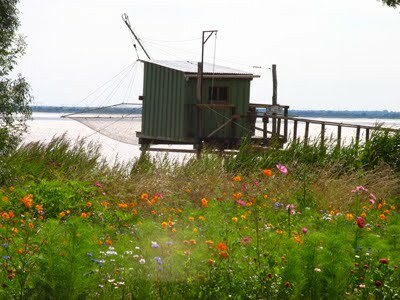 "All of our vines are on argile-calcaire, which is the best terroir of Chinon," insisted Michel. "There is a long history of wine production here. 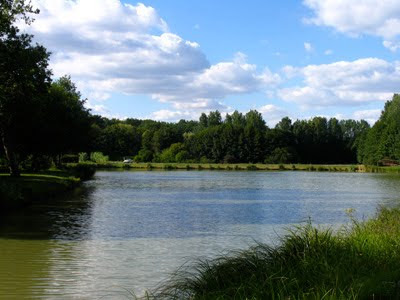 There are nine producers here on the 'Rive Gauche' (left bank of the Vienne) spread across seven communes." We quickly agree that the AC Touraine reform proposals make no sense particularly in this part of the appellation where is no tradition of growing Sauvignon and Côt. 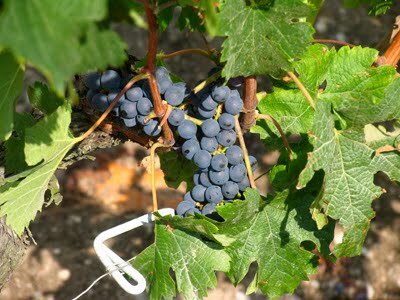 Instead Cabernet Franc and Chenin Blanc are the traditional varieties here as they are in the neighbouring appellations of Chinon and Saumur-Champigny. "We applied to the INAO to have a new appellation – Touraine Côtes de Seuilly – but this was turned down," continued Michel. 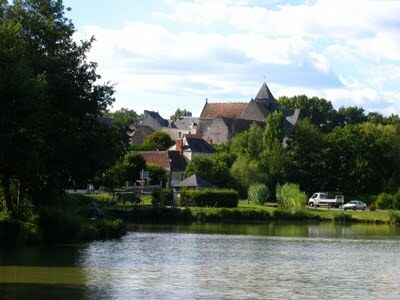 The INAO does, however, look likely to approve Touraine-Chenonceaux and Touraine-Oisly further east in the Cher Valley. Although it may be ironic that the INAO turned down the request for a Côtes de Seuilly I'm not convinced that this would have been a good solution as it would be not easy trying to explain and promote yet another small French appellation. 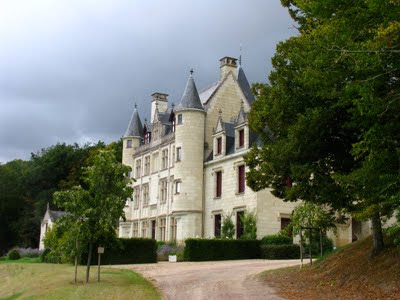 "We are in discussion with Chinon over being included within their appellation," said Michel. 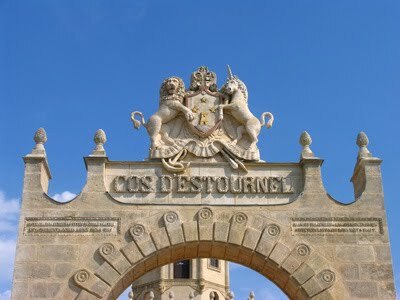 It will be interesting to see how the Chinonais react to this proposal as it would certainly solve the rather embarrassing problem that the ill considered reforms to Appellation Touraine has thrown up: it would no longer be necessary to expel the western Touraine producers from the appellation. We finally managed a visit to Château du Petit Thouars, which included a visit to the vineyards in between a couple of heavy showers of rain. Hopefully a full report tomorrow. 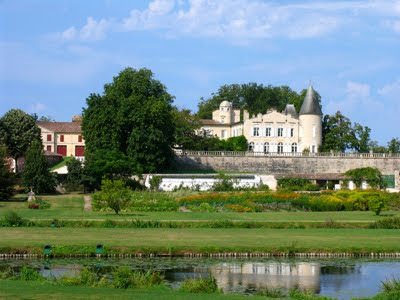 It is increasingly clear that the 2010 vintage is likely to be quite variable within the Loire. 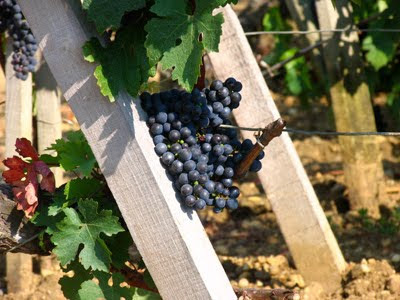 In some parts such as Anjou as well as Châteaumeillant, it has been very dry, so dry that there are reports that the vintage in Châteaumeillant will not start before early October and possibly not before mid-October because the ripening of the grapes has been slowed by the drought. Of course if it rains soon that may change. 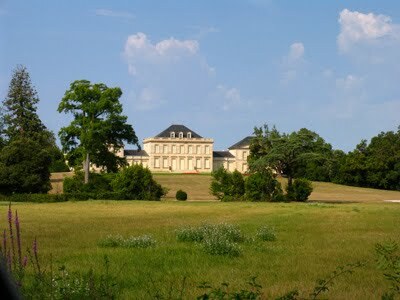 In June Châteaumeillant became the last of the Central Vineyards to be promoted to AC status. In contrast it has been relatively wet in eastern Touraine causing some outbreaks of black rot. 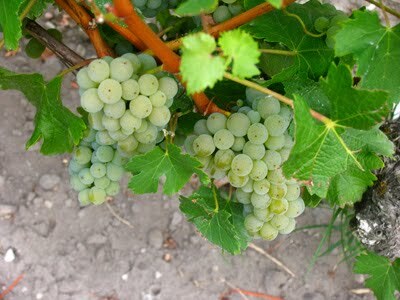 However, the regular moisture should have benefited the Sauvignon Blanc, which is best not stressed. 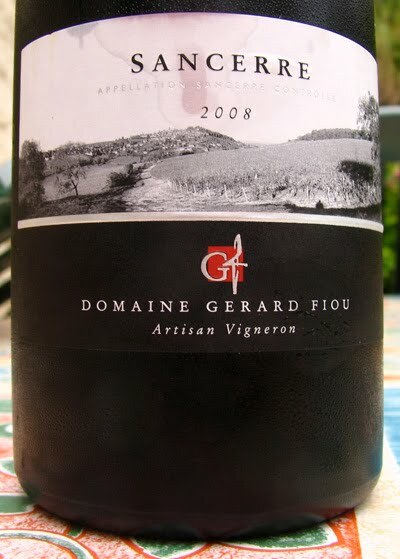 This 2008 Sancerre Rouge from Gérard Fiou of Saint-Satur could I think be very good but in this vintage doesn't quite make it. 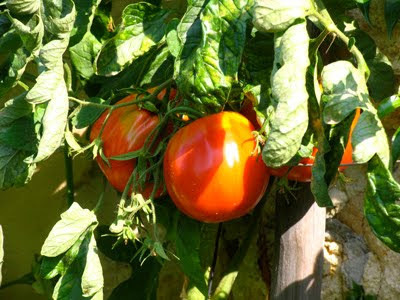 It comes from vines planted on flint aged 60 years and more, is picked by hand with a yield of 40 hl/ha. 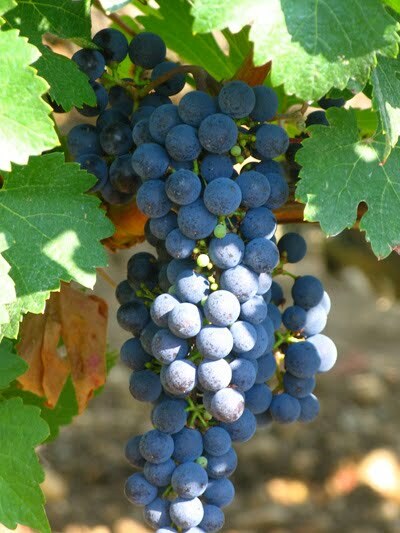 There is some concentration of black fruits making it enjoyable to drink but it is a little rustic lacking the finesse and silkiness that can be found in Pinot Noir. Perhaps it is still to young and this slightly gauche duckling will in a year or so be transformed into a swan. I fancy that this wine would be improved by time in barrel – it has sufficient concentration to handle wood. This was one of the wines I tasted at the Bureau du Centre in early June. 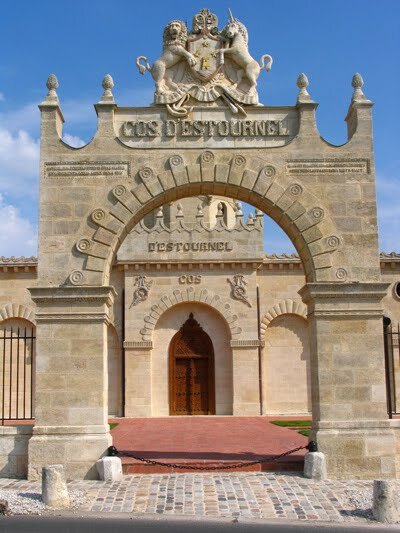 Although Touraine producers may be opting for a very restrictive range of permitted grape varieties, elsewhere in the world producers and consumers are celebrating the grape's range and diversity. 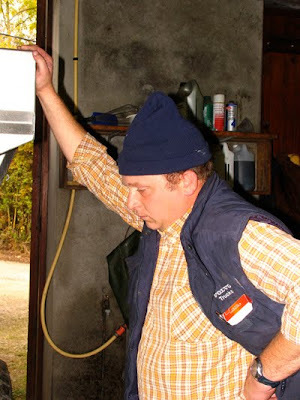 See this article by Huon Hooke, one of Australia's leading wine writers. It wasn't the shirazes or merlots that stood out at the Boutique Wine Awards but the rarer types of grape. In Australia's vineyards, 72 per cent of vines grow shiraz, cabernet, chardonnay and sauvignon blanc grapes. 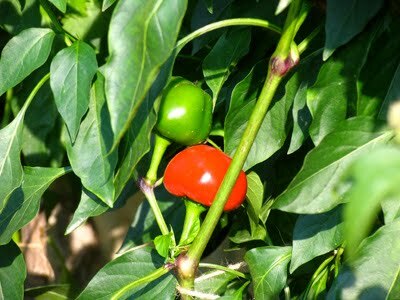 That leaves 28 per cent for the other 100 or so varieties we grow. If the proposed reforms to the rules for permitted grape varieties in Appellation Touraine are passed, this delicious rosé made with an indigenous Loire grape variety and in a traditional 'vin gris' style will no longer be allowed. 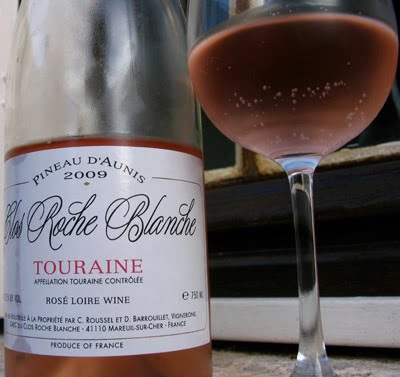 All Touraine rosés will have to be a blend in future if the proposals are agreed. As Ken Broadhurst (see comment) says some of the most interesting rosés made in the Cher Valley are pure Pinreau d'Aunis. 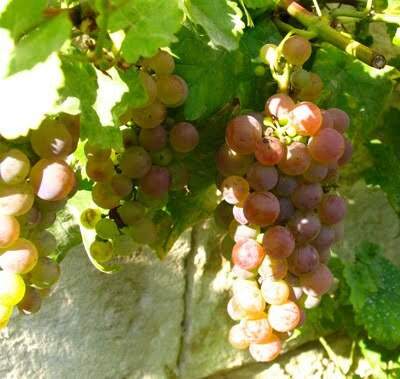 Usually pressed immediately without any maceration or any significant skin contact giving them their delicate pale pink colour – like a vin gris. This 2009 has very attractive floral notes but without the peppery, spicy character that is often typical of Pineau d'Aunis. It made an ideal glass or so to start the evening off sitting outside on a night that was considerably warmer and mlre enticing than yesterday evening. 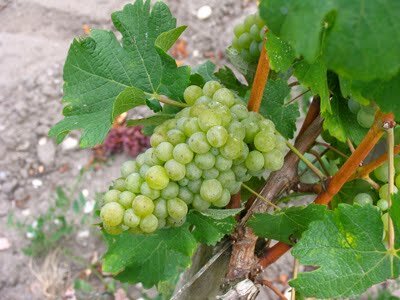 Worth remembering that Pineau d'Aunis is also called Chenin Noir, a reminder of the variety's Loire origins. Fortunately those producers who believe in inherent quality of their Pineau d'Aunis rosé will continue to make it and sell it as a vin de pays or vin de table. The producer will continue to be the crucial name on the label not the appellation. 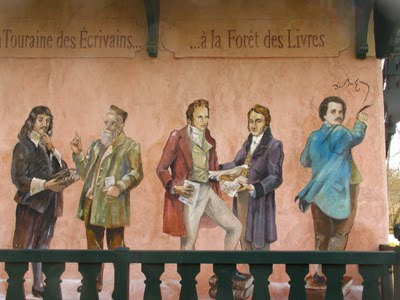 On Sunday Chanceaux-près-Loches welcomes the 15th edition of La Forêt des Livres. The event kicks off at 10am. This year's guest of honour is Charles Aznavour and a special hommage is being paid to Michael Jackson. I have already posted about the 2009 Sancerre from François Crochet – it was one of my top white Sancerres from the tasting at the Bureau du Centre in early June. See here. 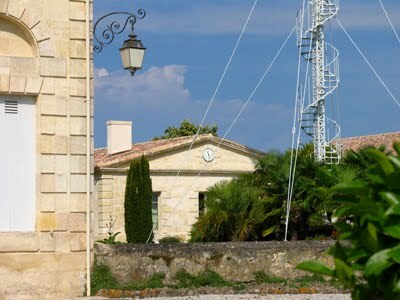 We drank a bottle of it with friends in Pauillac on Friday night and again it showed brilliantly. It is always impressive when people recognise how good a wine is spontaneously without any prompting at all. This was the case with François' 2009 Sancerre – lovely mineral character and precision of fruit. Yesterday passed by the vineyard planted with the Sauvignon Blanc grapes that go into Pavillon Blanc de Château Margaux. 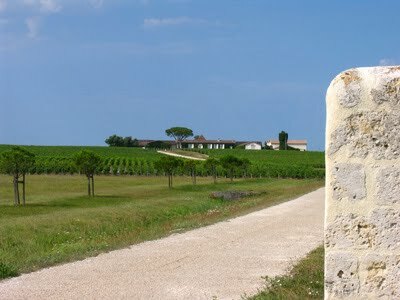 The vineyard has very fine black-grey sandy soil and is to the west of Margaux on a flat area prone to frost. 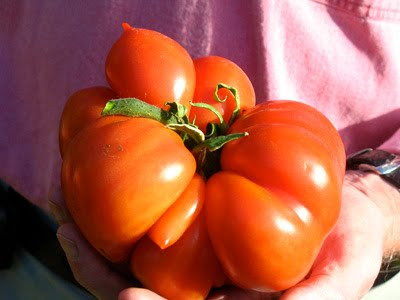 The 2010 crop is still some way off being ready. 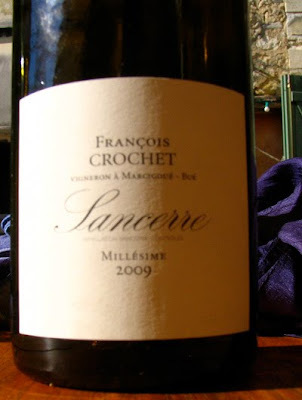 Whether it will be as good as François Crochet's 2009 Sancerre (see forthcoming post) is a fair question, although it will certainly be more expensive. 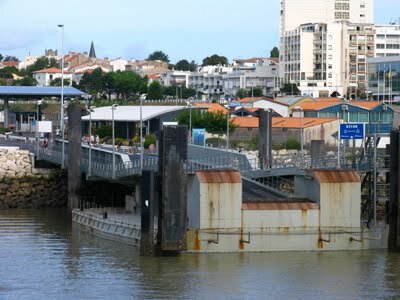 Today headed up from the Médoc to Touraine crossing the Gironde on the ferry from the Pointe de Grave to Royan. 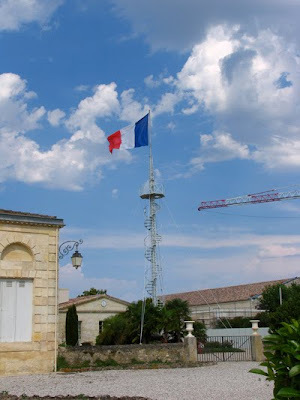 Yesterday in Pauillac it was searingly hot, especially in the afternoon and early evening. – heading towards 40˚C in sheltered parts. Fortunately around 6am this morning there was a short thundery storm, which has cleared the air a bit. Here are a few scenes from a short drive around this morning. 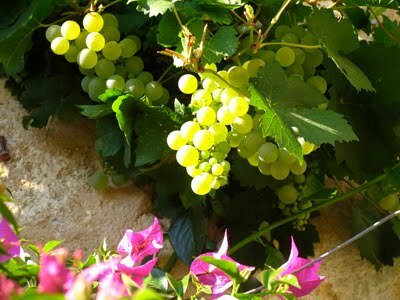 The grapes look healthy at the moment, although there is still a while to go yet before the harvest starts. 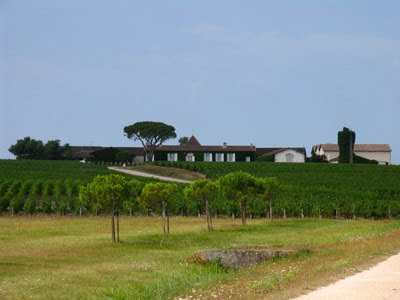 Can anybody afford another very good Bordeaux vintage at the top end?